Search engine optimization is a big topic that can easily trip you up. It definitely threw me for a loop! I was never quite sure what to do, where to place keywords, or how long my posts should be. It’s hard to know how crazy you need to get with SEO. So if just hearing the word makes you feel flustered and overwhelmed, don’t worry. I’m going to clear up any confusion you may have around it right now! For starters, on-page SEO is just a fancy way of saying Let’s create content that people want to read. Let’s tweak it so that more people can find it. Lucky for you, content is the name of the game for Google and other search engines. Every time you write an epic post, you’re creating an asset that will work like an employee for your business. Plus, you can always go back and make it even more SEO-tastic later on. Let’s say Jane decides she’s done with skinny jeans and wants a pair of “faded bell bottom jeans”. So she searches for them and waits for Google to crawl different websites and show her the jeans she wants. Now, you happen to be a fashion blogger and know a thing or two about faded bell bottom jeans. And you want Google to show your blog to Jane. So how do you do it? Basically, you use every opportunity you can to tap Google on the shoulder and say, “Hey this site is about faded bell bottom jeans”. We’ll drill down more on this in the semi-techie part. First, let’s dive into the non-techie part because this will be intuitive stuff and easy for you to execute. It’s the perfect place to start. The steps I’m sharing here are interrelated, meaning that the first step flows naturally into the second and so on. I’m structuring it this way so that you can get your head around what to prioritize when it comes to SEO. Let’s take a look at my top SEO tips for bloggers. Before we dive in, I created this SEO Checklist to help put what you learn into action. Yep, I’m saying it again. Creating great content should be the hallmark of your SEO strategy. Write content that engages your readers. Make every post epic. Put your heart and soul into helping your audience, which I’m sure you already do. So we can check the box on this one, awesome blogger. 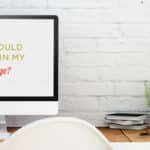 If you forget about these and just focus on writing great content, you’re probably going to address them without even realizing it. What I mean by this is, you’ll be writing SEO content with very little effort. Long enough: First off, it’s going to take you some time to create a really valuable post – and by time I mean words. So right there, your post will be long enough. Well-written: How can you create a highly valuable post without writing it well? You won’t. Because it’s not going to happen. Multimedia: Next, because you’re all about creating remarkable content, you’re going to include multimedia wherever you can. Things like videos, images, charts…anything you can think of to make it easy for people to digest your message. Text-based: That last one is a no-brainer. Blogging = Writing = Text-based. Done and done. How’s that for SEO-friendly content? See how focusing on just one thing took care of all those others? I’m pointing this out because sometimes we get caught up in minutiae and forget the bigger picture. Let’s go forth and write epic, remarkable posts. I have just one other thing to say before moving on from this: the most important ingredient to creating truly great content is You. I’ve worked with so many clients and brands over the years who get a little nutty about “differentiating their brand”. What I think they miss, and what we can learn from that, is that brands are built from the inside out. Your brand starts with you. Other bloggers will likely have covered your topic. But that doesn’t mean there’s nothing for you to add. Maybe you’re BFFs with your topic. Or, maybe you’re out on your first date together. Either way, that’s the inside scoop that readers want. They don’t need you to regurgitate the same content they can find on 20 other blogs. They’re looking for you to help them interpret things and make sense of them. Make sure you infuse each post with your experience and perspective. 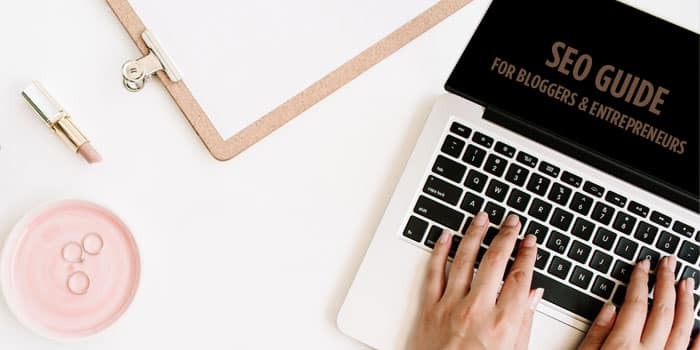 If you’re wondering how to make your posts even more valuable so you can really rock this whole “SEO for bloggers” strategy, there are a few things you can do. I’m sure you understand your audience and have an editorial calendar full of blog ideas. Still, we can all benefit from knowing more about our readers. That’s where a little research can be your friend. It’s pretty easy to get inside the head of your audience if you have the right tools. Spend some time hanging out on the same social media sites where your readers hang out. When you see posts that get shared a lot, you know you’re on to something. I’ve found Pinterest can be an invaluable resource here. 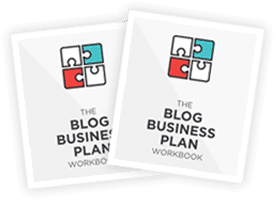 When I first started my blog, my posts were pretty off-target, meaning I was kind of circling around my audience but not quite landing on the sweet spot. I decided to spend some time looking at popular pins around my niche, really trying to understand who my audience was and what they wanted/needed. I recommend doing this kind of research on Pinterest, Instagram, even Facebook, and Twitter. BuzzSumo is a content analysis tool and a powerful research platform where you can find the most shared content around a topic, niche, niche, or even industry. So let’s say you search for the topic “photo effect tutorials”. You’d be able to see which content performed well and where it performed the best – Facebook, LinkedIn, Twitter, Pinterest or Google+. The idea behind BuzzSumo is to find popular content and then beat ‘em. Write something better, more epic, more detailed. Use more photos, a better design, more points, you get the gist. But I digress, because you’re already doing that :). 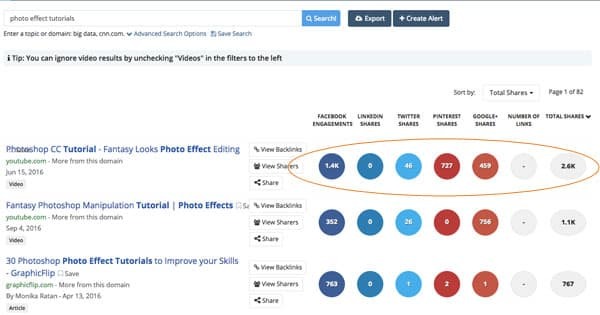 BuzzSumo is also useful if you need help finding out where your audience spends their time. When you see posts related to your niche are viral on Twitter or Pinterest, you know that’s where your audience is. Check out this post for more on BuzzSumo. Let’s look at another way to research using Google’s free keyword research tool, Keyword Planner. 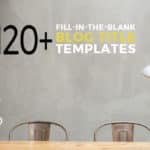 Just so you know, this is a useful all-around tool that will help you brainstorm different blog ideas PLUS find keywords to include in your posts, which is one of those semi-techie things I’ll get to next. 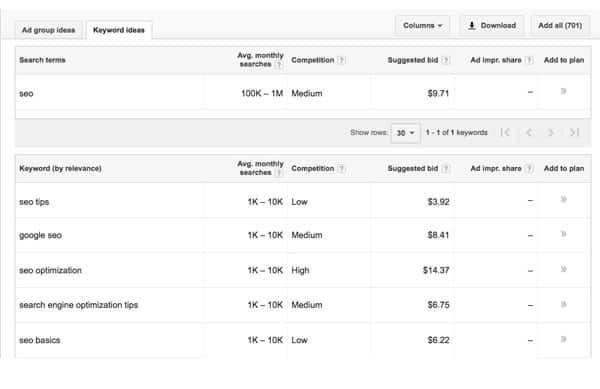 For the non-techie part, Keyword Planner will help you understand what terms people are searching for on Google. Let’s say you want to write a post about SEO but aren’t sure which subtopic to focus on. You can use the Keyword Planner to get some ideas. Let’s say you want to write a post about SEO but aren’t sure which subtopic to focus on. You can use the Keyword Planner to get some ideas. What I love about it is that you get back hundreds of other ideas that you can use for future posts too. So in addition to being a powerful keyword research tool, it’s also a great brainstorming tool. Now that we have the non-techie SEO tips covered, let’s get into the semi-techie stuff…and remember, you got this! It’s time to level up your post with keywords! Let’s say you just used Keyword Planner to find some keywords. The next step is to add them to your post. 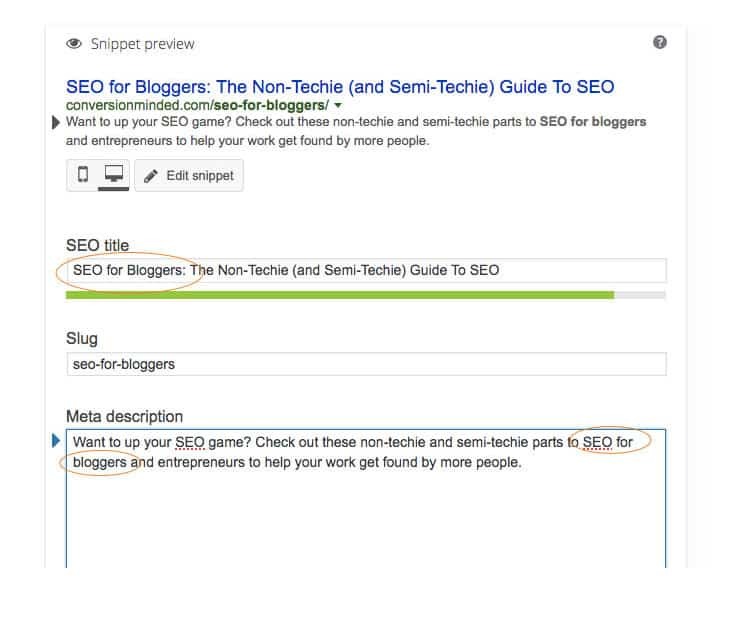 This blog post is about SEO for bloggers, so that’s the keyword I’ll use. And all that really means is, I think that you as a blogger might search for that phrase. Psstt…Just so you know, a keyword isn’t a word. It’s a bunch of words strung together into a “keyword phrase”. If I had targeted the word SEO as my keyword instead of the keyword phrase SEO for bloggers, I’d likely show up on page 357 of Google. If you only have time to change one thing in your post, make it your blog title. Make sure it includes your keyword and aim for 55 characters. Any longer and Google will cut it off. Meta descriptions are less about SEO and more about grabbing people’s attention in search results. But they’re still important! Include your keyword and keep the meta description at about 160 characters. Google will bold any keywords in your description so they stand out. Add the keyword to your intro and outro and a few times throughout the content. Be careful not to over-stuff your post with your keyword, though. Google’s onto that trick, *wink. If you use Yoast SEO, follow the prompts and you’ll be on the right track. Headings are your friends. They streamline your posts and make it easy for people to follow along and keep track of what they’re reading. Yep, I tried that and paid the price (what did I know?). Google caught on and dropped me from page 1 to page 7, quick like. So be careful and only use the keyword if it sounds natural and organic. Even then, limit it to just one subheading. There are plenty of other places to include your keyword. Yes, it true! People can find your content through image searches. In fact, my fashion designer friend gets most of her customers that way. So what images are we talking about? And what the heck is “alt text”? The featured image is your main blog image and the one that’s shared on social media. Now, since you’re an epic blogger, you likely have images within your post too. Those are secondary images. Next up, the alt text…that’s the text that would show in place of an image if it can’t load. It’s also a web accessibility thing. If you want to be extra clever, make your alt text something elaborate and descriptive for Pinterest so that when people save your pin, the description goes with it. Update: Some experts say that alt text should describe the image, and that’s it. They argue that pin descriptions doubling as alt text can hurt your SEO rather than help. So if you want, you can use Social Warfare or Tasty Pins to separate pin descriptions from the alt text. Either way, just know that your target keyword goes in the alt text of the featured image. Use related keywords for the alt text of secondary images. Same thing for image names. All those images I mentioned above should include your keyword in the name. What I like to do is use the blog post title for the featured image name. And for secondary images, I’ll use different variations of my related keywords. 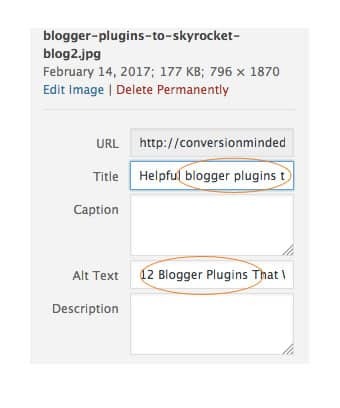 12 Blogger Plugins That Will Skyrocket Your Blog | Here’s a list of plugins I use on my blog and what I use them for. I’m hoping that a few of them will be useful for you too. Click through to see all the plugins! We’re almost there. The last place you want to include your keyword is in the URL of your post (for WordPress, this would be your permalink). See how the URL for my SEO for bloggers post is conversionminded.com/seo-for-bloggers/, and not some strange set of numbers, like conversionminded.com/2017/5/6/, or even conversionminded.com/p25?. That’s what you want yours to look like. Note: If you need to change your URL after you publish your post, use this redirection plugin to redirect people to your post’s new home instead of a Page Not Found. Phew! You made it. Glad we got that out of the way. I bet you’re probably thinking That’s great, Sandra, but how do I get my keyword in all these places? Luckily, you don’t have to remember all of these SEO tweaks on your own! If you use WordPress, the Yoast SEO plugin is indispensable and tops my list of bangin’ plugins for bloggers. Once you install it, you’ll see a section beneath the edit window where you can enter your keyword, edit the SEO title, and write a meta description. Links to your website are good! They send signals to Google that your content is popular and tell it to start paying more attention to your website. Problem is, it can be hard to control external links (from other websites to yours). You know what you can control though? Those are the ones that link from your post to related blog posts on your website. They help Google understand what your post is about, make you look popular, and increase your average visit time. All of this is good stuff, friend! Plus, readers will spend more time hopping around from post to post. That’s another one of those things that tells Google, Hey people love my content. Gotta boost it now. *wink. This right here is an example of interlinking. Google is all about the user experience and knows that people peace out when sites load slowly, so site speed is a HUGE ranking factor. You can actually be penalized for having a slow site, which means that your posts won’t rank as highly as they could. To check how quickly your site loads, use Gtmetrix, Pingdom, or Google Pagespeed Insights. Aim for under 3 seconds. If your site runs slow, what should you do? Site speed can get pretty techie but one thing you can do is to make sure your images are optimized and compressed. I use TinyPNG to reduce the file size of all my images and I highly recommend trying it out. It’s true, social media doesn’t have much to do with on-page SEO. But I’m throwin’ it in here anyway! I’ve found social media to be a huge traffic source. So not to stress you out, but if you don’t have a social media following you may want to start. You’ll get more traffic from both Google and social media. And you’ll likely get indirect traffic as more people link to your content on social media. It’s a win-win, in my book. There you have it! 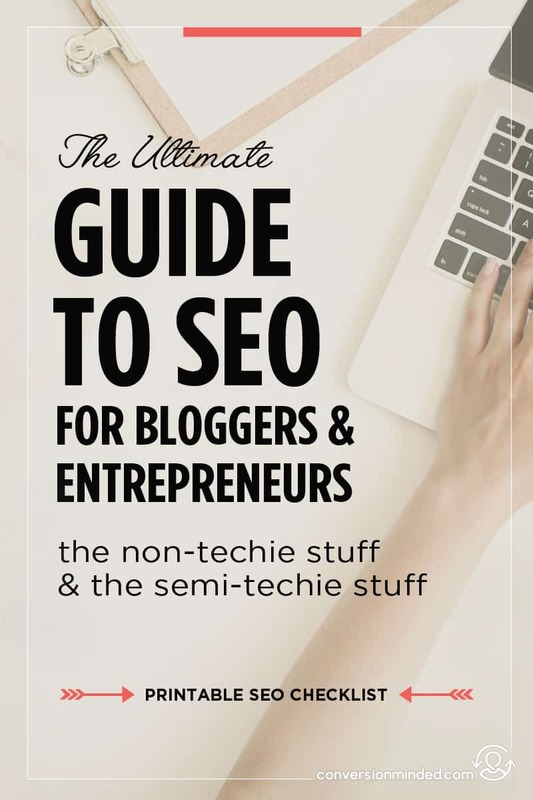 That’s my ultimate guide to SEO for bloggers. What SEO tips are working for you right now? Let’s add them to the list! Great post! I make an effort to follow the latest trends on the internet. New updates and tools come out every day. I’m not a professional, but I know that SEO drives web pages to stronger positions on search engines. My sister started a gardening business for indoor plant designs and I mentioned the possibility of building her website with SEO. 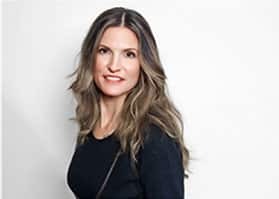 Her pool of clients has expanded considerably and her website position on Google has brought a lot of attention to the business. Glad you found it helpful! SEO is a must for local businesses, it’s exciting to hear that it’s working for your sister. So glad you found it helpful, Sherri. GREAT post! This really broke it down! As a blogger, I must say worth a read. A post like this shows how to avoid small problems, so it’s perfect for bloggers like us. Thanks for sharing. Geeez, all the info I need in one place. Excellent content and lots of good info. A bit discouraging how much you need to do but hey, its life;-) Thank you! What most people don’t realize is that SEO is mainly about increasing the quality of the user’s experience. Your guide is great for beginners. I have seen many blogs not even trying to master the basics from the beginning. If you delay it, it will only make it harder over time. Right on. The earlier you turn your attention to SEO, the sooner you’ll see results. While you can certainly go back and optimize older posts, it can require an entire rewrite. Yuck. Better to work in SEO from the start. Great post! Thanks a lot for very useful information! Very elaborate article. Glad I stumbled upon this. Looks like we get a bunch of SEO tools and tips in one place. Awesome article that’s cleared up my seo confusion and now i will definitely be able to get traffic to my blog. Thanks alot for sharing such an amazing and helpful article on SEO. Thanks a lot. Thanks for the detailed post and useful tools & tips! Yoast SEO definitely helps a lot. I have to admit that I went through the pain of rewriting, redoing my URLs and interlinks as I learned more about SEO. Yikes! Excellent work Sandra. Great tips to rank your page. Some of them I have applied and waiting to see the results. I will try the rest of the tips.